Welcome to October; the month when the rains come, the temperatures drop and the leaves fall. Oh, and the spiders build webs in front of your door! Creepy! 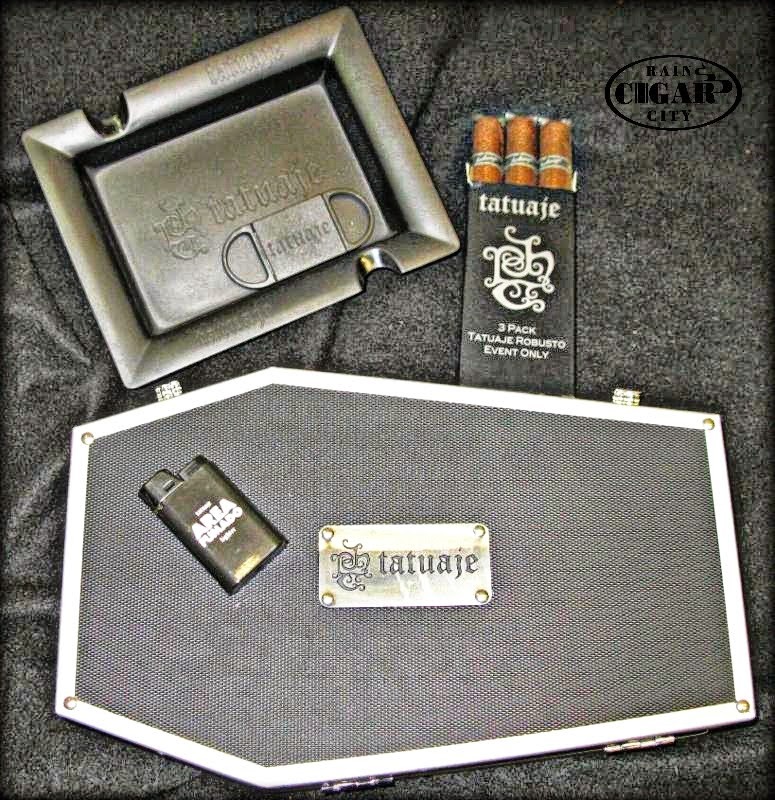 Buy a box, get a 3 pack Tatuaje Black Robustos + a SWAG bag with cool Tatuaje stuff! We were only allocated seven boxes of Monsters this year. 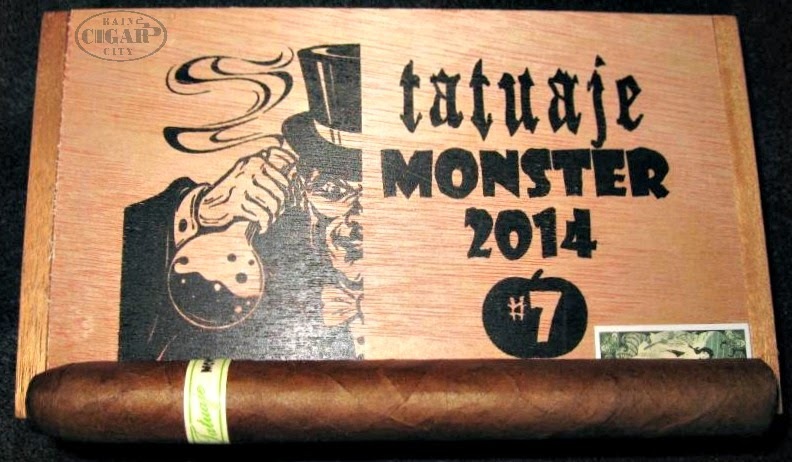 Buy any full box of Tatuaje cigars and you are eligible to purchase one box of Monsters. 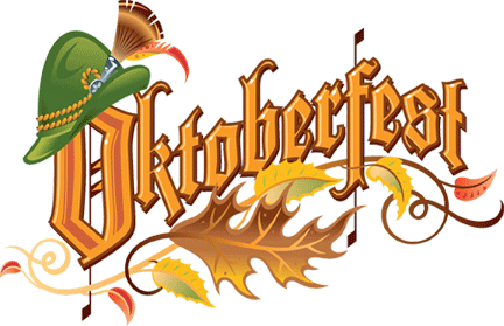 Lit Newsletter 10/20/14 Oktoberfest This Thursday! 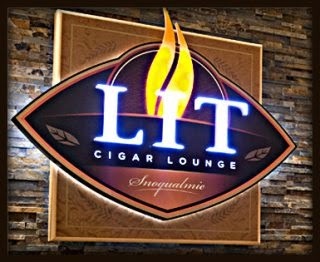 First of all, thank you to everyone who came out and enjoyed our sold out Washington Cigar & Spirits Festival! It was another successful event, and we're already working on ideas for the 5th annual event next year! Check out this video recapping the event and share with your friends who didn't come! We also have photos from the event available here and here. Our next event will be Thursday, October 23 in Lit from 6-8pm as we celebrate Oktoberfest! We'll be pouring Ayinger's award winning Oktoberfest beer, straight from Munich, along with Quesada's annual limited edition Oktoberfest cigar - with special deals on both products, prizes and lots of fun! We hope to see you there! 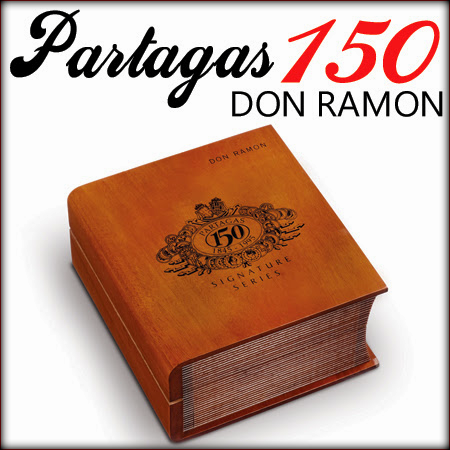 We have a few new cigars along with several new spirits available in Lit to check out the next time you're in, none as special as the re-release of the Partagas 150 Don Ramon, one of the most limited and sought after cigars in the world. The Partagas 150 Don Ramon is a cigar that was rolled and first released in 1995 to commemorate the 150th Anniversary of the Partagas brand. This cigar features a Cameroon wrapper from the vintage crop of 1977, which means the wrapper on this cigar is 37 years old, and the cigar itself was rolled 19 years ago. 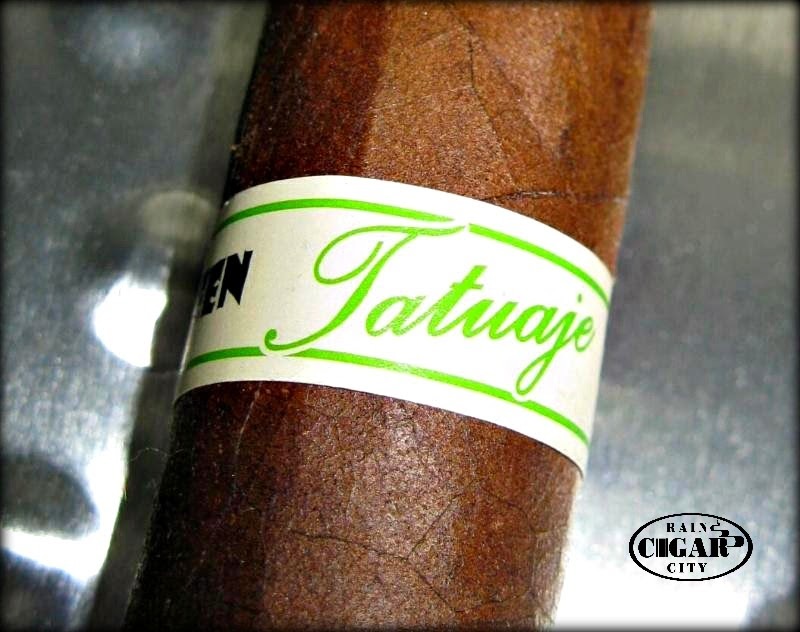 We have only 20 of these cigars available at $150 each. Truly a one of a kind cigar! - Foundry Wormhole - The creative folks at Foundry Tobacco Co. have released three new blends for 2014, designed as a trip through the Worm Hole of the past, present and future of tobacco. This one is difficult to explain, but this preview from Cigar-Coop does a great job of it. - La Aroma de Cuba Noblesse - This is a limited edition release from Ashton, featuring a Habano Rosado wrapper and medium to full bodied profile. We only have one box of these cigars at present. - Colonel EH Taylor Single Barrel and Straight Rye - Two rare and allocated whiskies from the Buffalo Trace disitillery. - Maker's Mark Cask Strength - This one is exciting! Maker's Mark, one of our most popular bourbons has quietly released a limited amount of cask strength whiskey from their reserves. Get this one before it goes away! We're also expecting limited amounts of both Alec Bradley's Fine & Rare 2014 and Fuente Fuente Opus X cigars in the coming week. Ask for them on your next visit! 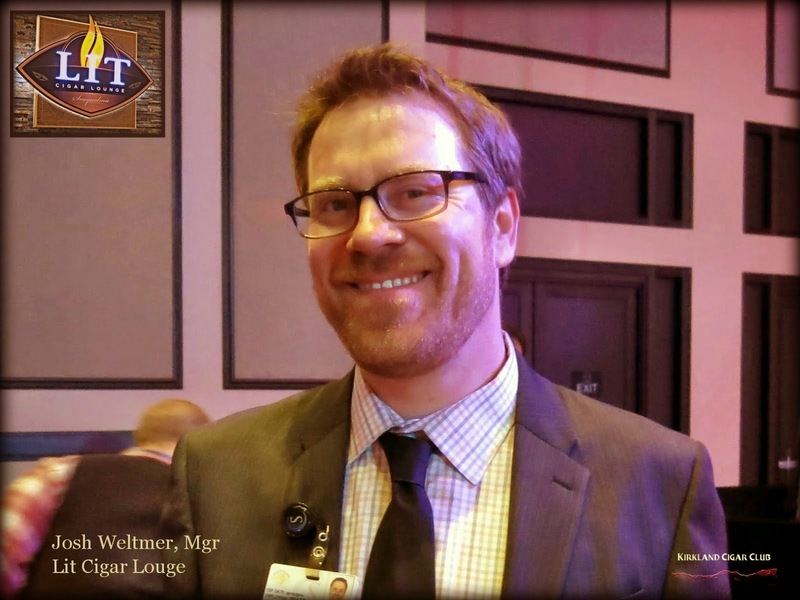 2014 Washington Cigar and Spirts Festival - The BEST one ever! The event started at 6 o'clock, but I didn't arrive until around 7 PM. Since my lovely wife wasn't coming with me this year, I wanted to take her out for Happy Hour at Purple Cafe and Wine Bar before I headed east. Nice restaurant by the way. Anyway, major downpour accompanied by thunder and lightning driving up the mountain, but when I arrived at the casino the clouds seemed to part and I could see a touch of blue sky breaking through. Oh yeah, good sign! I checked in, got my little punch card thingy for cigars and drinks, and headed into the ballroom. HOLY SHEET-O! There are a lot of people here! Josh, El Jefe and organizer of the whole event told me that there were 300 tickets, but man-o-man this sure looks like more than that! And I actually mean this in a good way. 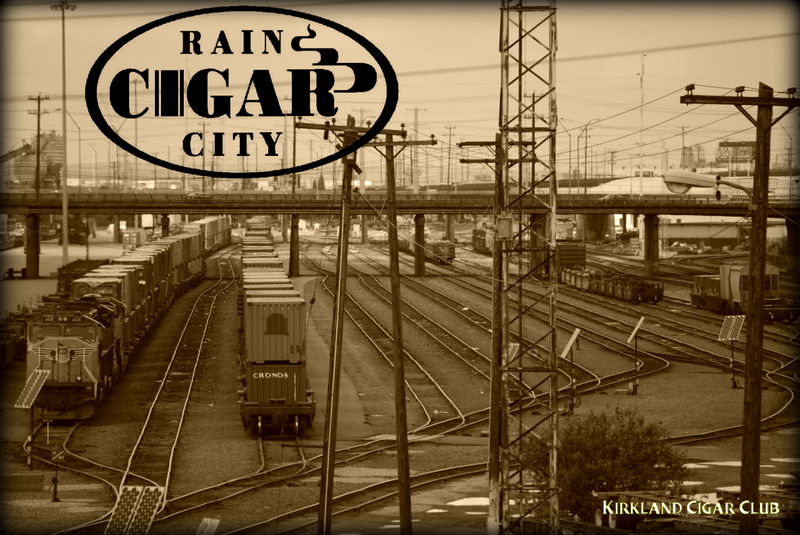 Seeing so many cigar aficionados in one place is very, very cool! The layout for the event was somewhat similar to previous years, but with more tables and chairs, at least it looked that way. Cigar vendors were along the back wall, and booze guys were in the middle and along the wall to your right. To your left and in the middle was the food table, and the beer and pretzel guys were in the corner to the left of the ballroom entrance. Tables and chairs everywhere - plenty of seating. Few things that I noticed about this year's event that might have been different from the past. One was of course the number of people. LOTS of people! The first hour must have had some pretty long lines of people waiting for cigars. When I got there it was still busy, but not THAT busy. Next the food - REALLY good food this year! I'm not saying that the previous years were bad, but this year was really GOOD! Seasoned steamed red potatoes, sautéed green beans cooked just the way I like them, baked chicken, which I didn't try, penne pasta, also didn't try, and BBQ ribs, which were excellent! I would have loved to have pigged out more on all this food, but I was already somewhat full from Happy Hour with the Wifey-poo. Also this year they also had a professional MC doing all the commentating. Basically, he was the guy telling you what was going on, what to look for, and throughout the evening calling out the winning ticket numbers for the prizes. Oh, speaking of prizes, which were great by the way, so this year they did something that I thought was very smart. Instead of giving you a raffle ticket at the door, this year they affixed your ticket to the back of your punch card, and there's no way you're going to misplace that! Brilliant thinking you guys! Anyway, I really had a good time hooking up with old friends, so cool being able to catch up with my cigar buddies! Met some new people as well. One thing that I've always said about about cigar people, they are probably the nicest and most social group that you'll ever come across! Outstanding event! Just the fact that we're all here enjoying a fine cigar with some superior spirits and great food is really a unique experience for us here in Washington. I'm already looking forward to this event next year, and who knows, maybe next time I might even win a prize! Don't laugh, it could happen! Seriously! The 2014 WCSF Event Is This Week! 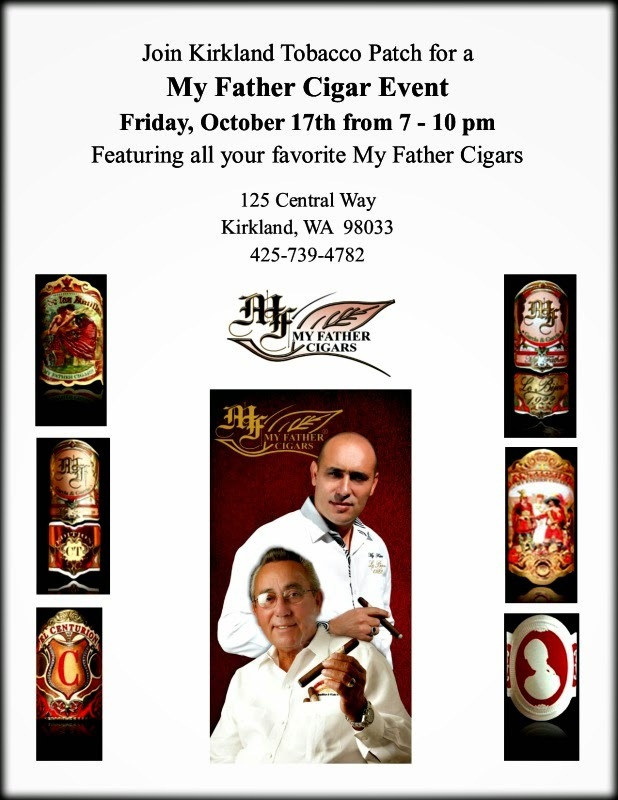 We are less than a week away from this year's Washington Cigar & Spirits Festival, Saturday October 11 from 6-10pm. Tickets are going fast and may be gone by the day of the event! We've put together another fantastic event, featuring seven of the industry's top manufacturers and over 70 different fine spirits and craft beers. We look forward to seeing you at this year's event! This year's event marks the first time that My Father will be participating. We have had a special relationship with the Garcia family, dating back to the early years of Lit, when we hosted Don Pepin twice in the Sno Lounge all the way up until the recent years where we've hosted both Jaime and Janny Garcia for outdoor events. This year, we'll have great deals on the two latest creations from My Father, La Antiguedad and My Father Connecticut as well as other favorite blends, such as the original My Father, Flor de Las Antillas, and the Don Pepin Garcia Cuban Classic. 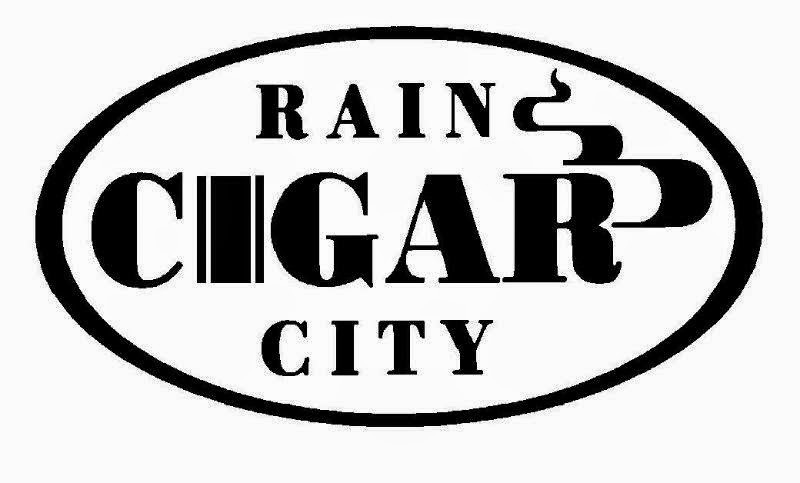 Your WCSF ticket includes the 94 rated My Father #1, and while you're at the booth, learn more about this great company and take advantage of event specials that are the best deals of the year on this red hot cigar brand! 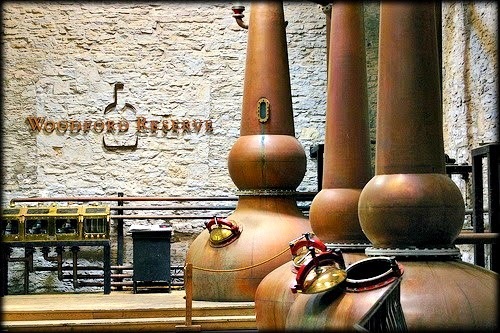 We've just received our third installment of the immensely popular Woodford Reserve Snoqualmie Personal Selection! This is a custom bourbon whiskey that our team blended with the guidance of Woodford's master distiller Chris Morris earlier this year. We chose the whiskeys that comprise the Snoqualmie Reserve XIV for their rich notes of vanilla, caramel and oak and we're sure you'll agree that it pairs wonderfully with a fine cigar! Visit the Woodford Reserve booth at this year's WCSF, try the new blend and take a photo or two at the #WoodfordWay photo booth inside the event! You can also try the Snoqualmie Reserve XIV at Lit, either neat, on the rocks or in our signature Manhattan or Old Fashioned. 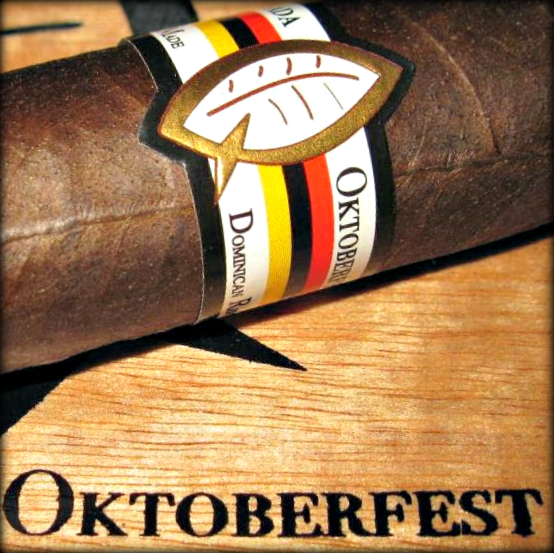 Buy 4 Oktoberfest cigars, get 1 FREE! Buy a box, get 1 Free + Oktoberfest pint glass & lighter!